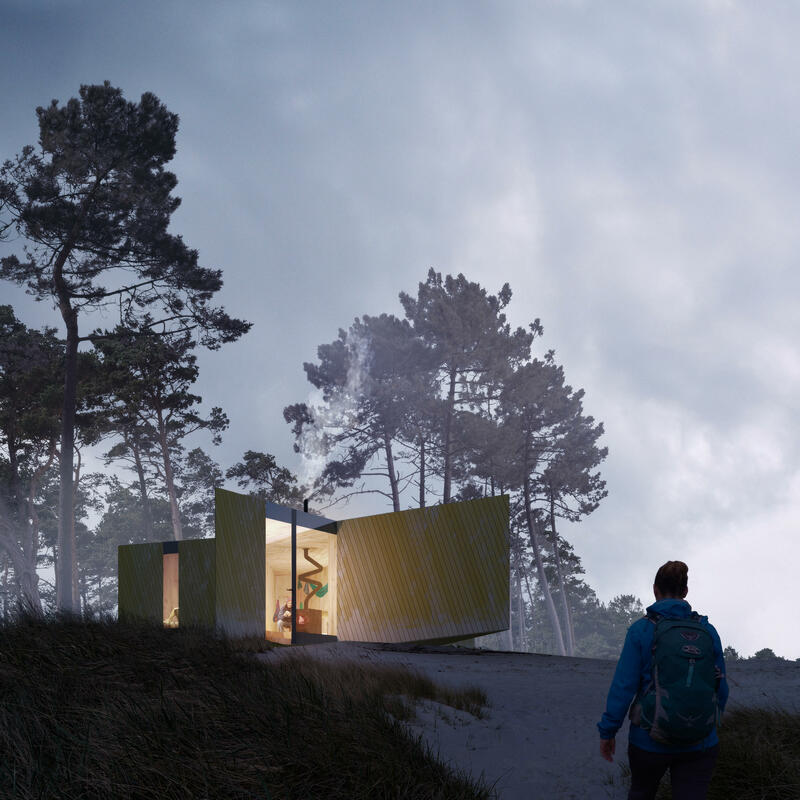 Architectural Prescription have designed a trekking cabin on the Baltic coast that settles perfectly within its environment. 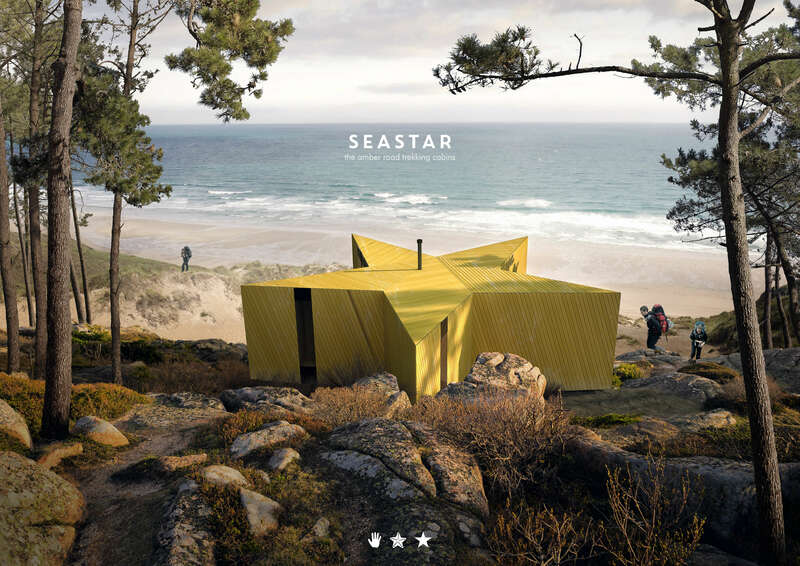 With the shape and style of a bright yellow star, the compact Seastar trekking cabin by Architectural Prescription is the unspoiled metaphor for the starfish that rest on the beaches of the Baltic Sea. As well as drawing influence from the marine life along the coast, the Seastar is also a nod to the universal icon used on map services for saved locations. Designed for 4 hikers, there is a common space at the centre of the star and private sleeping areas in four of the star’s five points. The communal space in the centre is home to a furnace and a shared table where weary trekkers can dine together. Within the design there is also a washing space which includes a sink and a shower. 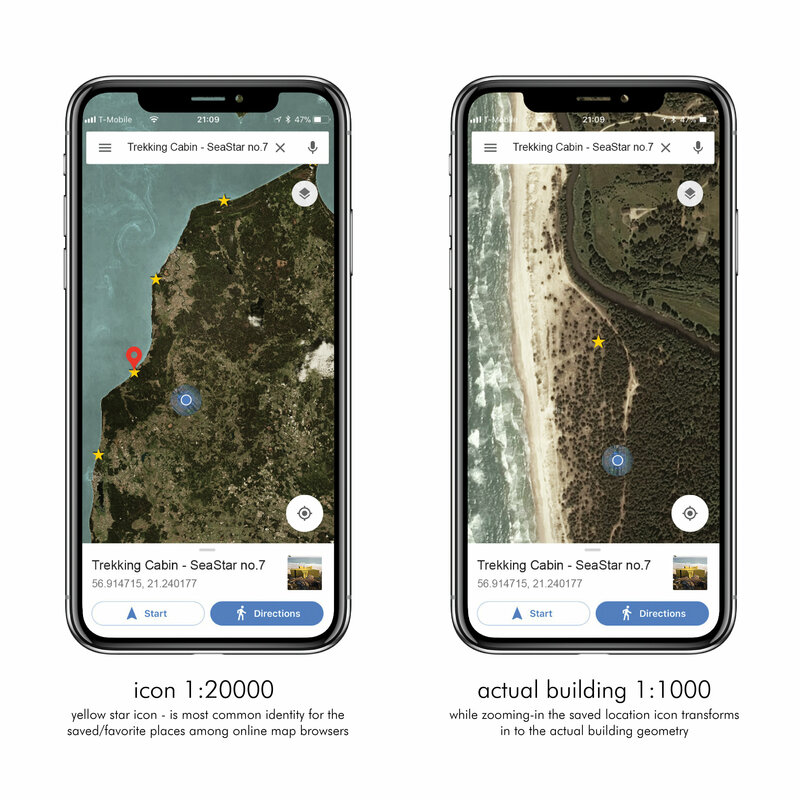 Prescription have cleverly chosen a shape that stands out to travellers, both as they walk along the coast and also when they use map applications. 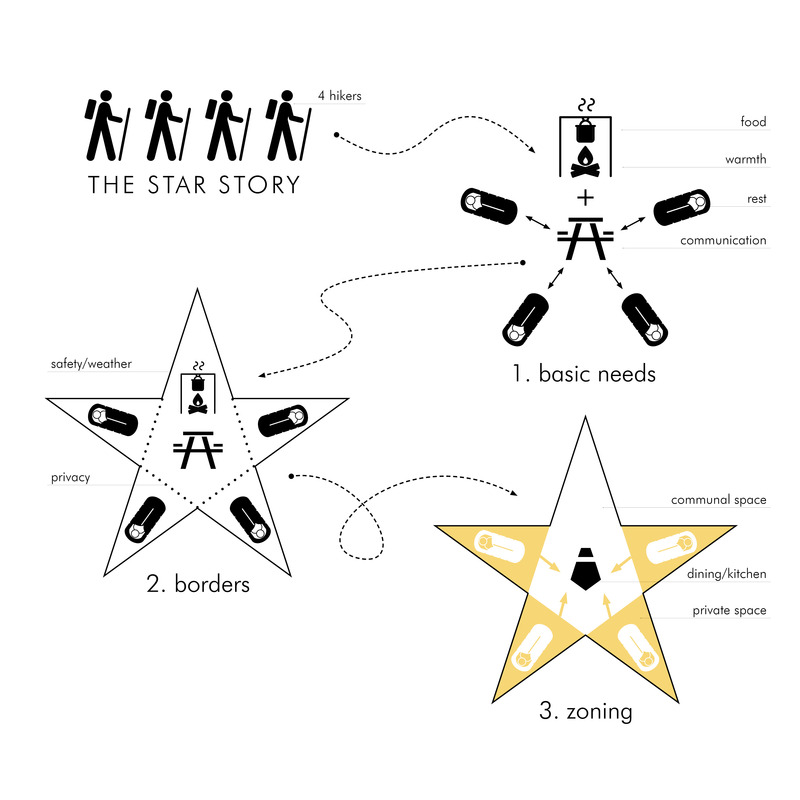 The trekking cabin mimics the ‘saved location’ icon on mapping services, meaning that travellers are drawn to its’ location – from a distance, they see what they think is a saved location, but as travellers zoom in on the area they actually find the star is the outline of the Seastar cabin. 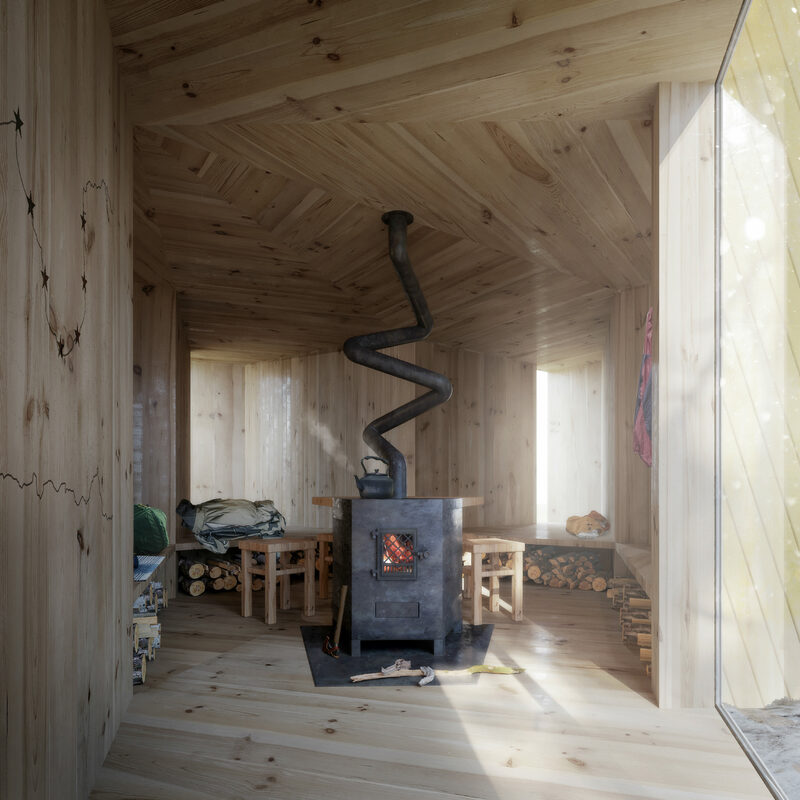 The Seastar has been designed with sustainability at the forefront of the designer’s mind; built from local and environmentally friendly timber, the cabin also uses natural elements to provide other comforts to its users. For instance, solar cells can be installed on the roof to generate electricity, whilst a slope – also in the building’s roof – collects rain water. This water is then filtered, making it safe to use in the shower and sink. Designed to embrace its natural surroundings in both shape and usage, the Seastar is sure to be a welcome sight to any weary traveller that finds it.